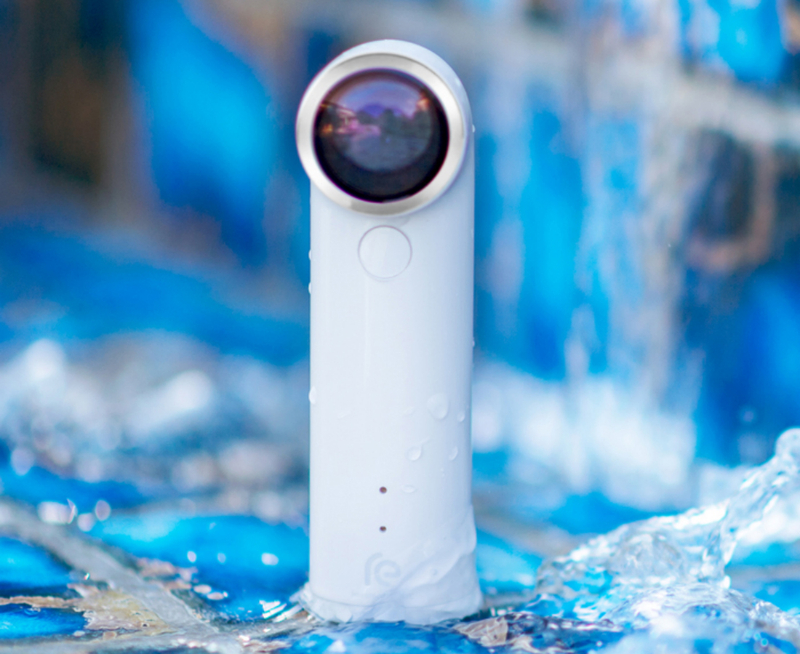 This afternoon in New York City, HTC unveiled its RE Camera, a competitor to the GoPro line of portable action cameras. Priced at $199, but not available until sometime around the holidays, the RE Camera is aimed at users who want to record everything. From walks on the beach to skydiving, RE Camera is always on, allowing users to record 1080p video, snap 16MP photos, and shoot slow-motion video as well. Built to look like a mini periscope, the RE Camera is ultra portable and lightweight, with the ability to attach to clothes, backpacks, and tripods. HTC announced a gang of accessories for the RE, including head mounts, suction mounts, bar mounts, clip-on mounts, and more. Controlling the RE Camera is done all through your smartphone, as HTC is set to release matching Android and iOS applications which will appear at a later time. From the apps, users can record and pause videos, set time lapse videos, and snap pictures. The RE will be available through Verizon, AT&T, T-Mobile, Best Buy, Amazon, and HTC’s website at a later date for $199. However, pre-orders are now taking place at HTC’s website here. Would you choose a RE over GoPro?